I recently met Clay Henry Tenni in the oddest of situations in a caravan park in South Australia. We both have black Labradore x Kelpie’s which greeted each other openly, leading to a few weeks of human conversation on pets, family, children, writing and life. 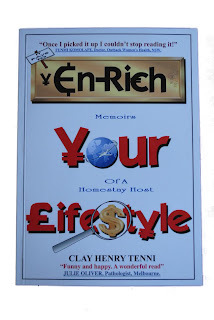 I had no idea that this bubbly friendly gentleman was a bilingual university graduate and published author until he handed me a copy of his book Enrich Your Lifestyle - Memoirs Of A Homestay Host. Upon handing me the book he gave me no indication of its content, just asking that I read it and give my honest opinion. That night I read as promised, engrossed from front to back, completing the book in the small hours of the next morning. Having never travelled overseas, knowing nothing about homestays or having ever considered running one I read this book with a light interest wondering where it would fit into my life. Had Clay not given me a copy I would certainly have never picked it up, missing the opportunity to be inspired, motivated and uplifted. Clay writes with honesty and interest of his experiences as a homestay host. After studying abroad himself under the care of homestay families he set out to turn his own home into an inviting experience for students of other cultures. Within his book he talks not only of his own personal experiences but points out the pitfalls and benefits of a homestay business. You are soon left thinking differently about the spare bedroom in your house. 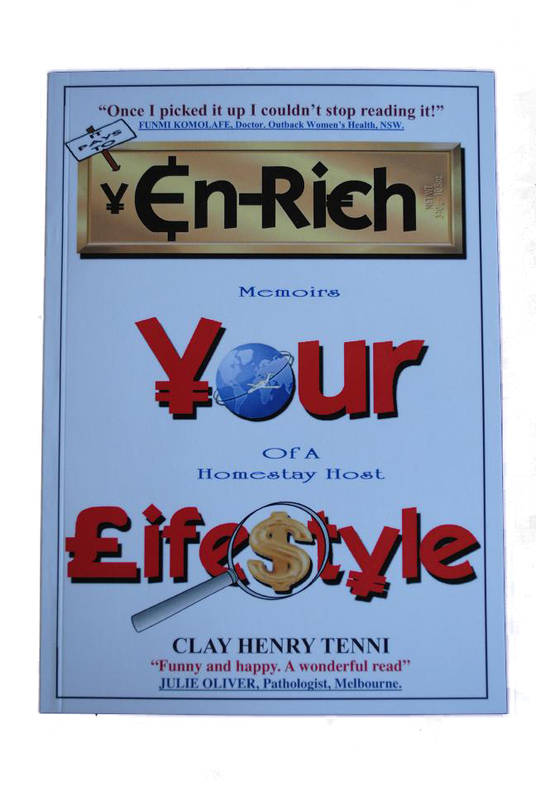 Enrich Your Lifestyle, Memoirs Of A Homestay Host is not only a book for those involved, or considering being involved in, the homestay industry but is a book that contains chapters of life experiences that are thought provoking, enlightening and more than often humourous. Within this book I found a feeling of inner calm and acceptance of my life situations both past and present. Chapters 14,15 and 16 provide the homestay host with dollar saving tips around the home that not only save the budget but the environment as well. Tips that we all should be considering in our day to day living. I closed this book with the finishing chapter leaving me feeling at harmony with myself and with a sense of positive kharma and enlightenment. I didn’t feel as though I had read a book about a homestay business but a book of one man’s life experience’s and his need to not only return the positive experiences he had as a homestay guest to others, but also to spread the positivity of his life to society as a whole. His messages are clearly those that should be shouted from a mountain top. Enrich Your Lifesyle, Memoirs Of A Homestay Host is refreshing, welcoming and friendly yet interesting, educational and thought provoking. A journey worth taking that will leave you floating on a cloud of positive thoughts.